Browse site content by topic. Our Local Agencies Map and Directory provides an easy-to-use way to find agencies in your state that can help with services, support and resources. This past weekend, I had multiple celebrations for my 27th birthday. 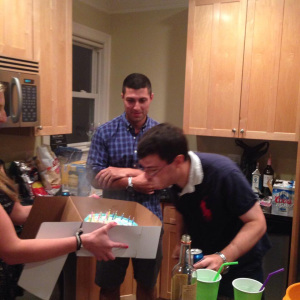 The first celebration occurred on Friday night at my brother Brian’s girlfriend, Amanda Smith’s apartment in Southie with a surprise party arranged by her and Brian. The following day, Saturday, my family had a celebration for me at my cottage in Marshfield. Finally, on Monday, my actual birthday, I celebrated my birthday at Jimmy’s restaurant in Arlington with Mom, Dad, and Keith. The 27th birthday celebrations all began on Friday evening as I arrived in Boston. I initially believed that I was to have the party at Brian’s apartment in the North End, but Brian and Amanda had a change of plans for the location. We then headed to Amanda’s apartment in Southie, where I went inside the dimly lit building. Once we turned on the lights, I was greeted with thunderous applauses of “Surprise! !” by friends including Meg Mahoney, Liv Fahey, Rich Kei, and even my cousin Matt. I then proceeded to greet all the guests and have snacks and a cake, as I patiently waited for the presents. The theme of the party was a dog themed party as I am a huge fan of dogs. The presents consisted of items including a hat with a golden retriever from Rich, a poster Amanda made with all various dogs I have known in my life, dog cards, including one from Laura Feloney, in which you pull the chin of the golden puppy who will then bark “Happy Birthday”, and Vineyard Vines gift cards from Brian. To close off the night, we then headed to the nearby bar Playwright, where we danced and talked about interesting events going on in our lives. The next Saturday, I first headed over to Amanda’s parents’ house with a nice cup of Twix iced coffee from Marylou’s and was then approached by Summer Smith, Amanda’s blonde golden retriever and one of my favorite dogs. Summer is always happy to see me, Brian, and Amanda. Amanda’s parents wished me very much a happy 27th birthday. I then get to see Summer play with her best friend and neighbor Rascal, a reddish golden retriever, who reminds me of my cousin Kaylene’s late golden, Casey. Summer and Rascal love to run around and play with each other every weekend for all seasons. I even did photo ops with Summer and Rascal as part of my birthday celebrations. When we left to head to Marshfield, Summer felt sad since she does not like it when the guests have to head out for the day, since she enjoys the company of her friends. We then arrived in Marshfield at the beach house, where Mom was preparing to get ready for the relatives to arrive. Various relatives of mine, including Nana, cousins Tim, Ryan, and Henry, my younger brother Keith and his girlfriend Malorie, and many others. Keith introduced Malorie to my aunts, uncles, and grandmother, who were all greatly impressed by both Malorie and Amanda. The main foods of the day consisted of burgers, salad, Chinese chicken fingers, bruschetta, vegetable pasta, and vegetable pie. When it was time to sing “Happy Birthday,” I was delighted to see both a Reese’s cake from Sweetcakes in Marshfield and a Dairy Queen cake. Both cakes were extremely delicious. I was finally greeted with more presents from the guests including more dog themed cards and gift cards to places like Starbucks and Texas Roadhouse. It was a wonderful time seeing my family members and seeing Amanda and Malorie and also seeing my cousin Tim’s chocolate lab mix Dublin. Then Monday the 18th arrived a few days later. I was now entering the 27th year of my life. For supper, I chose the restaurant Jimmy’s Steer House in Arlington because it had a favorite restaurant of mine growing up as a teenager and the fact that it is near my mother’s childhood home in Arlington. I had my favorite meal as the birthday dinner, chicken parm with fries and a side Caesar salad with blue cheese and additional sides like zucchini sticks and buffalo,chicken tenders. After the dinner, I then reflected on what a great birthday weekend with all of the friends and family members who had come out to visit me for this momentous occasion. Date posted: September 12, 2014. Content created by The Autism NOW Center. Last updated: September 12, 2014. Find similar blog posts posted in: Posts by People on the Spectrum. Find similar content about: Family And Relationships, Recreation. Copyright © 2019	The Arc of the United States, Inc. All Rights Reserved. 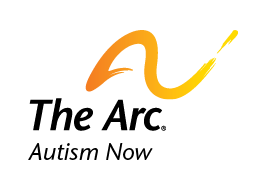 A national initiative of The Arc.